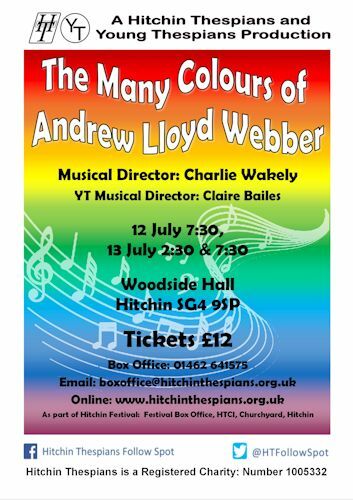 Roll Up, roll up and help raise funds for Hitchin Thespians. An evening combining the concert version of Joseph with many of the popular works from the pen of Andrew Lloyd Webber. Until recently only schools have been allowed to perform Joseph and this is a great opportunity for the society to be able to sing the songs from this delightful show. This will be a collaboration between the choir and our Young Thespians. The Committee are delighted to announce the production team for our autumn production. that may like to be involved in the production. If you have any questions or would like any further information please get in touch.